Zing is one of the most consistently fun toy brands we’ve come across. Everything about the brand is fun–from their brightly colored graphics, to their zany Toy Fair booths, to the sometimes insanely-powerful performance of their elastic band-powered toys. So when the brand announces something new, we definitely take notice. 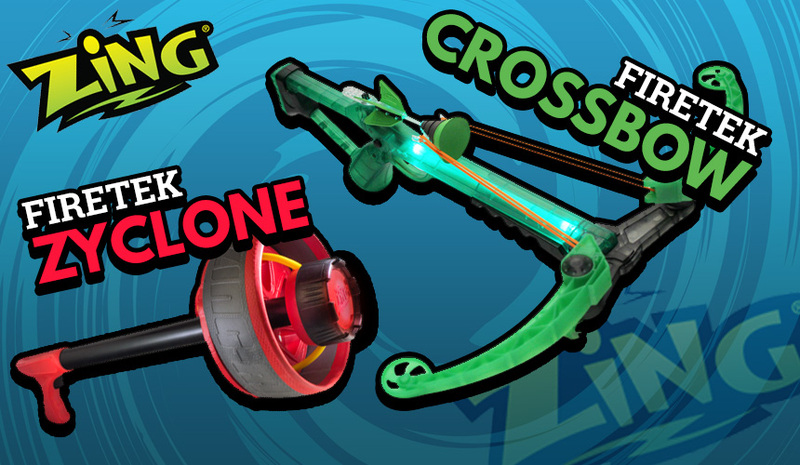 Recently, Zing has been promoting their LED-infused bows and dart launchers, and now they’re adding to the line-up with the all-new Zing Firetek Zyclone and Zing Firetek Crossbow! READY, AIM, FIRE! 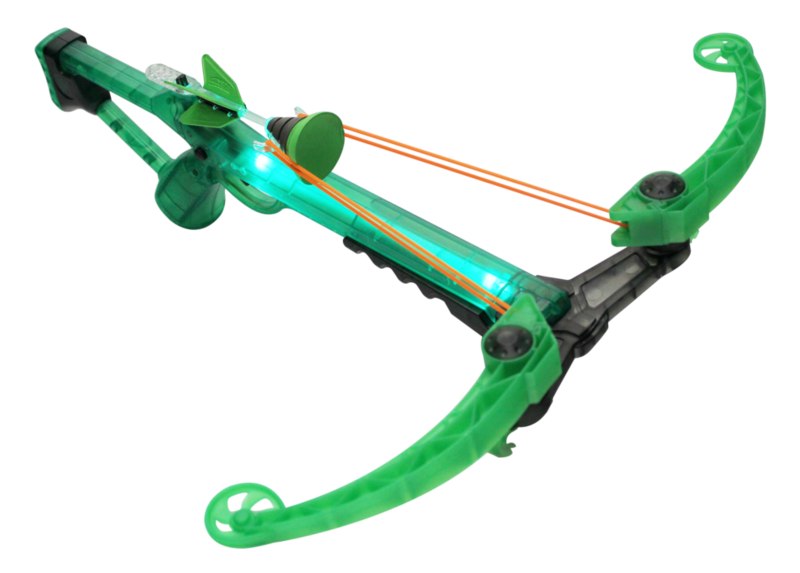 The new Firetek Crossbow from Zing is one of the latest additions to Zing’s popular Firetek brand. 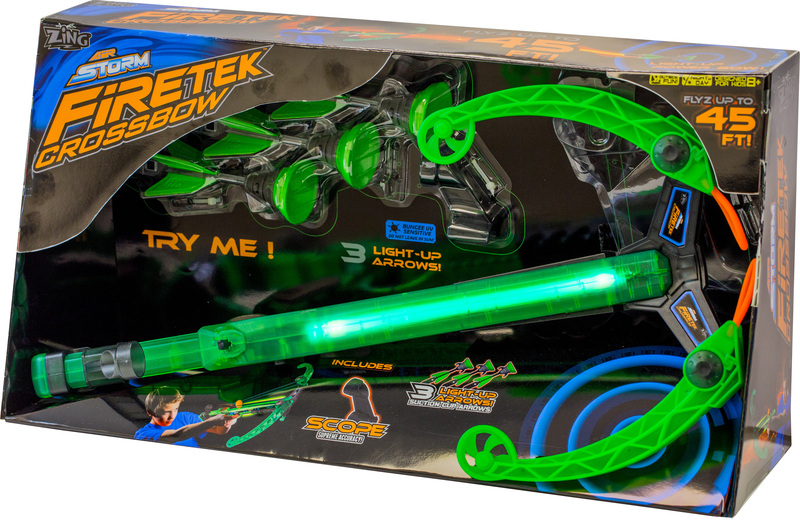 Now blazing with LED light up power, the Firetek Crossbow’s illuminating effect is perfect for any type of target practice! Place the arrow hooks through the Crossbow loops and latch onto the pin. Release the safety, pull the trigger and watch the Firetek Dartz fly with amazing light up power! With arrows shooting over 45 feet and a special scope for supreme accuracy, your target doesn’t stand a chance with the Firetek Crossbow. Each Firetek Crossbow comes with one Firetek Crossbow and three suction-cup arrows. Illuminate the night with the Firetek Zyclone Zing-Ring Blaster, another ingenious blast of fun from Zing! This new addition to the Zing Firetek brand, puts the ultimate spin on outdoor and day and night play. Load the Ring on the hand-held launcher, pull back, twist and watch the Ring light up the night, traveling up to 100 feet! 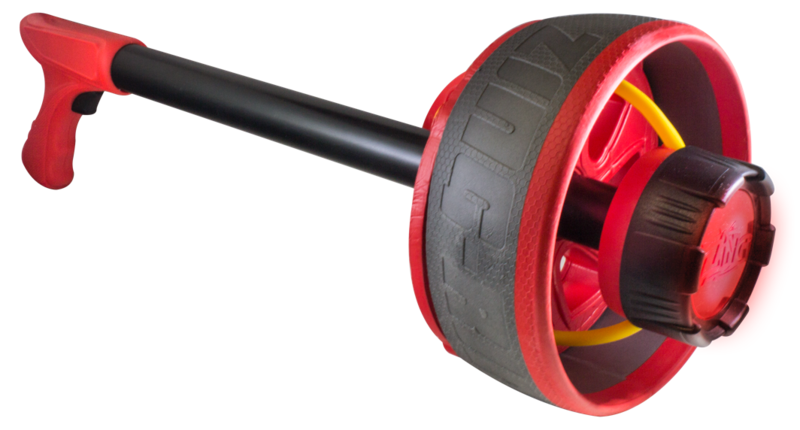 The Zing-Rings are constructed of soft, durable foam for a safe spin and cool catches with amazing accuracy. This incredible blaster brings amazing fun with a twist! Each Firetek Zyclone Zing-Ring Blaster comes with one Firetek Zing Ring Blaster and one Firetek Zing Ring. Look for these guys at Target (Zyclone) and Walmart (Crossbow) any day now. And for more information about the full line of Zing toys, be sure to visit www.zingtoys.com. This entry was posted in News/Updates and tagged firetek, new, zing on September 25, 2016 by PMindemann.